Algeria parliament to meet on Tuesday to name interim president - The Maghreb Times ! Algeria’s parliament will meet Tuesday to name an interim successor to Abdelaziz Bouteflika, according to state media, a week after after widespread protests forced the ailing president to cede power. “It was decided to hold a meeting of the two chambers of parliament on Tuesday … at 9:00 am (08:00 GMT),” the upper house of parliament said on Saturday in a statement carried by the official APS news agency. 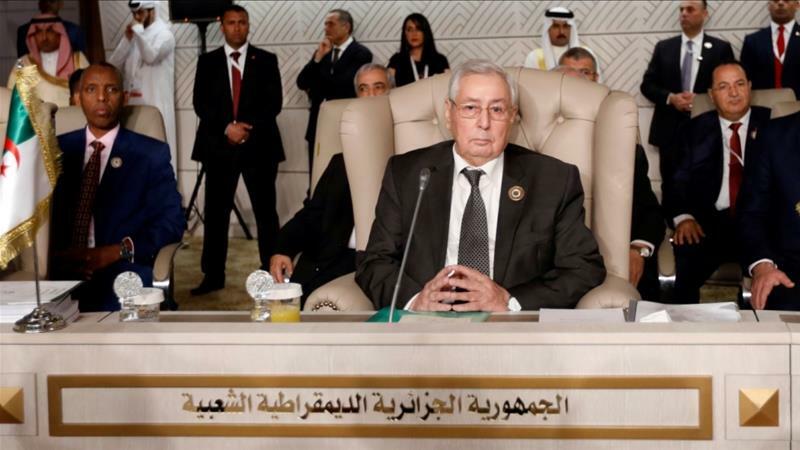 The lawmakers are expected to finalise the “vacancy of the post of president … and then designate Abdelkader Bensalah as head of state”, Salim Rabahi, communications head for the upper house of parliament, said. Faced with weeks-long demonstrations, and having lost the support of the army, Bouteflika resigned on April 2 after two decades in power. Algerians once again rallied on Friday ay in a continued push for sweeping reform, calling out key Boutleflika allies who have been entrusted with overseeing the political transition. The are targeting a triumvirate they dub “3B” – Bensalah, head of the constitution council Tayeb Belaiz, and Prime Minister Noureddine Bedoui.